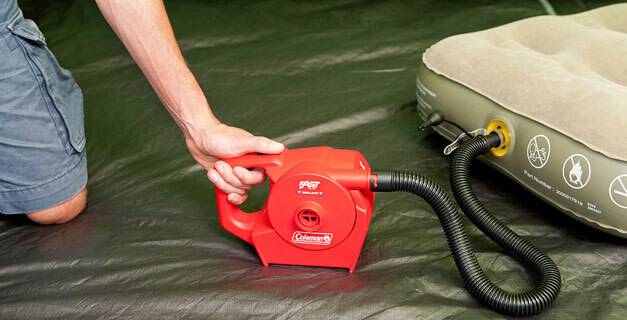 Coleman powerful pumps help to inflate and deflate your airbed quickly and easily. Several adapters allow you to use these high-volume pumps also for beach toys and other inflatables. Depending on the model, they work on 230 Vac and/or 12 Vdc.